4.1 out of 5 based on 19 bloggers and 1 commenters. 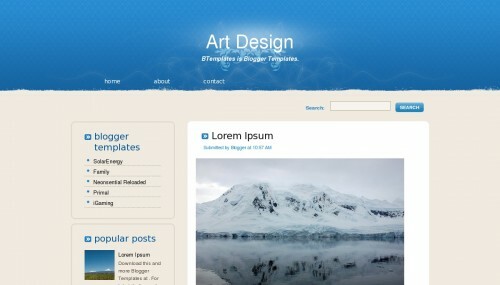 Art Design is a free blogger template with 2 columns, right sidebar, rounded corners, an exclusive design for Blogger and abstract. I have tried many times to include the share buttons of Tweet, Like and +1 but i failed every time.. i don´t know why they don’t show it up… i hope you can help me.